CHICAGO (WLS) -- A California man who police say killed a woman in Pilsen and stuffed her body in an air mattress is in jail. 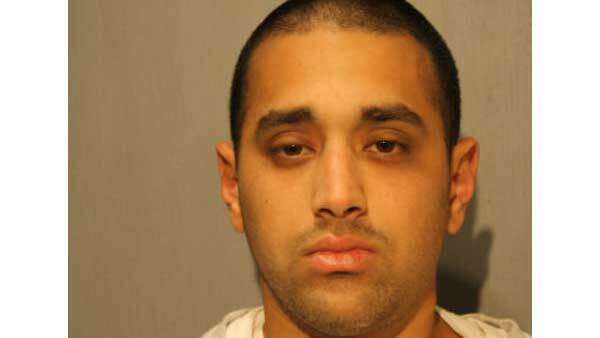 Prosecutors say in February of 2013 Faramarz Bakhshi, now 23, hit Michelle Manalansan, 29, in the head at Bakhshi's former apartment near Cullerton and Loomis. Shortly after, Bakhshi moved to California. His ex-roommate later found Manalansan's decomposing body stuffed inside an air mattress on March 17, 2013. On Saturday, Cook County Judge Adam Bourgeois ordered him held without bond. Manalansan, a Harold Washington College student who was last seen wearing a pink jogging suit, had been missing since Feb. 9, 2013, police said. During the couple's struggle, a downstairs neighbor complained of hearing "the sounds of running, and then a slamming on the ground, running and then a slamming on the ground," Assistant State's Attorney Robert Mack said at the bond hearing. Mack referred to Bakhshi's behavior as "exceptionally brutal and heinous." Two days after the homicide, a cleaning company went to Manalansan's apartment in the 300 block of East South Water Street about 8 a.m., but Bakhshi would only crack the door open and would not let them inside, authorities said. About 8:30 p.m. that same day, someone saw Bakhshi leave Manalansan's building with her dog, prosecutors said. He eventually dropped the dog off with his sister. Bakhshi's sister then purchased a train ticket for her brother, so he could travel from Chicago to California on Feb. 15, 2013, to live with his mother, prosecutors said. Bakhshi had told his mother that Manalansan had died of an overdose. But before he left for the west coast, prosecutors allege that Bakhshi's roommate saw him sleeping on an air mattress in the living room with a patterned blanket. By March 17, 2013, Bakhshi's roommate started to clean Bakhshi's room, "because he couldn't stand the smell any longer" and that's when he discovered Manalansan's decomposed body stuffed into the air mattress and wrapped in the patterned blanket, Mack said. Prosecutors said an autopsy found Manalansan died of blunt head trauma and that her death was ruled a homicide. Her toxicology report was negative. Months after her death, Bakhshi shared a post on Facebook that said, "It's only murder if they find the body; otherwise it's a missing person. Just a thought..."
Bakhshi, a graduate Loyola Academy who attended more than two years at the University of Chicago, was previously convicted for two separate burglaries in California in 2014 and 2011, Mack said. He was also convicted of possession of a controlled substance in California.